This case arose from antitrust claims asserted against several leading underwriters and mutual fund families. The plaintiffs challenged alleged conduct regarding the underwriting of initial public offerings during the “Internet bubble” in the late 1990s. 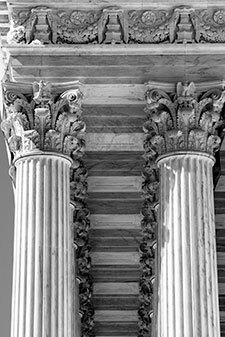 After we successfully petitioned for a writ of certiorari on behalf of several underwriters, the Supreme Court reversed the Second Circuit and held that the IPO process is impliedly immune from the antitrust laws. The Court agreed with the underwriters’ position that interposing antitrust courts and juries in this area, which is carefully regulated by the Securities and Exchange Commission, would interfere with the functioning of capital markets and disrupt the SEC’s ability to exercise its regulatory expertise. The Court also rejected the Solicitor General’s compromise position, which would have resulted in a remand; it reversed the Second Circuit’s decision outright, dismissing the antitrust claims.